Make adding Gatorback logo mud flaps to your truck easier with Gatorback mud flap brackets. 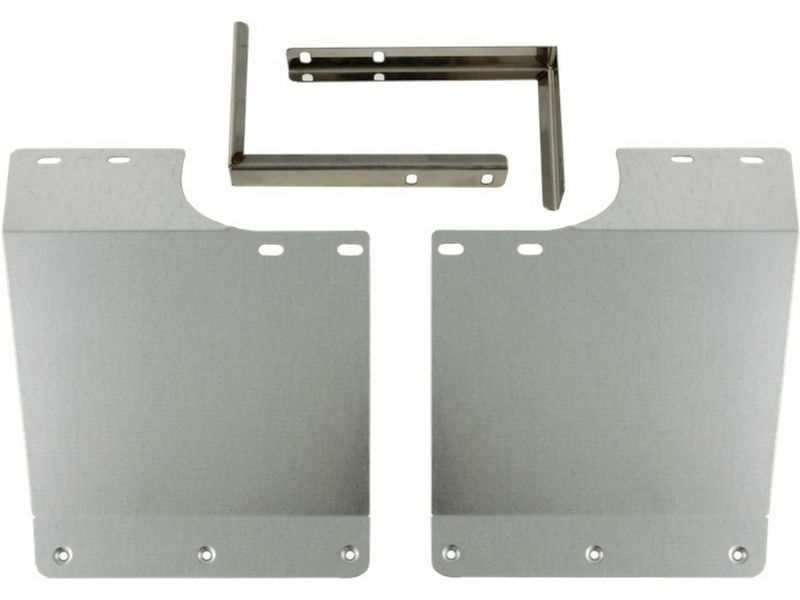 These mud flap support brackets create a flat surface on your inner wheel wells to make installing your mud flaps easier and to make sure they look good once installed. Gatorback mud flap brackets are made to support 12", 19", and 21" Gatorback mud flaps. Truck Hardware designed these brackets to provide inner support for your mud flaps and they mount to your frame rail for solid mounting. All mud flap brackets are made from either galvanized steel or aluminum depending on your make, model, and year pickup truck. The installation will vary by vehicle, some or no drilling may be necessary. Life is complicated enough, make sure installing your new mud flaps don't add more complications. Get Gatorback mud flap brackets to speed up your installation so you can get back on the road. Gatorback mud flap brackets are backed by a limited lifetime warranty. If you have any questions please let us know at 877-216-5446. Gatorback custom mounting brackets are designed to allow Gatorback mud flaps to be installed without the need for any drilling or cutting. Please give us a call if you have any questions or would like more information.